Over the years I'll openly admit to having a love/hate relationship with Valentine's Day. When you're younger, Valentine's is all about the cute little cards and providing an excuse to have a classroom party. Once you're done school and entering the workforce you either observe happily with your significant other with an expensive dinner or hang out with your single friends with expensive drinks. Eventually one might get married, have kids and then the focus becomes more family-oriented while still trying to stay romantic (I did use the word "try"). My all-time favourite Valentine's Day has to be the first year after my parents separated (I'm not cruel, please continue reading). I was living with my Mom and not dating anyone at the time. Unbeknownst to us, we both went out and got Valentine's presents for each other. It was the Frozen type of true love, mother-daughter style. 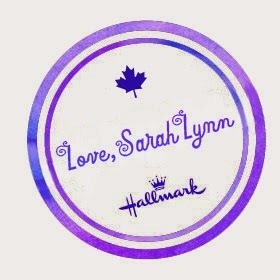 Where ever you fall on the love spectrum for Valentine's Day, Hallmark Canada has something to celebrate all the different types of loves of your life. 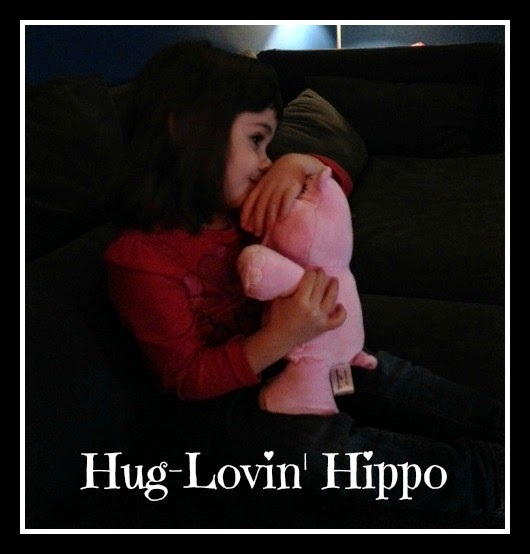 For her part, Hannah already loves the Hug-Lovin' Hippo Techno Plush. Move over Olaf, this Hippo loves her hugs and she cannot lie. She dances and sings a parody of "Baby Got Back". Hannah also loves hugs, dancing and singing so this Hippo is right up her alley. She will of course be giving out Frozen Valentine's Day Cards at preschool, where I swear they call her "Elsa" when I'm not around. They have the Frozen soundtrack in her classroom and she belts out Let It Go as only a 3 year old can. Each set of Kids Valentines comes with 32 cards, 1 teacher card and stickers. For Chris, the Be My Valentine, Charlie Brown Book. As a big fan of Peanuts, he'll love the 65th anniversary edition of this classic Valentine's story. For my Mom, the Marjolein Bastin Die-Cut Heart Memo Pad. She can take it to work or leave it by her home phone - either way she'll be jotting down the prettiest notes ever. And for me (because after all, you can not love until you love yourself), the Love Cup with Marker will hold my tea and allow me to write different witty sayings over and over again. 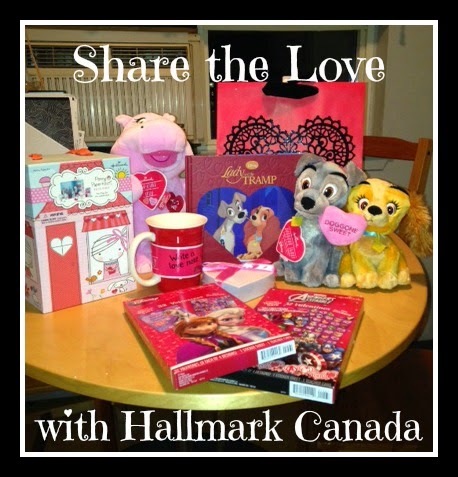 Make sure to visit your local Hallmark store for plenty more great Valentine's gifts for all the loves in your life. One lucky YYZ Bambina reader will win a Hug-Lovin' Hippo Techno Plush! In order for the winner to have their prize by Valentine's Day, this giveaway closes Feb. 7th, 2015. We celebrate with our kids. We have heart shaped pancakes and we have a little surprise for the kids then we spend time at the park with them. Dinner is usually something small and quick for us as a family then we have a nice dinner together after the kids are in bed. We usually make an extra special dinner and eat at home. We have a family dinner with our 2 kids. We always make heart shaped pizzas! I celebrate at home with my family indulging in sweets! we have a nice family supper together! I send cards to the grandchildren. I cook a nice dinner for my husband. We usually have a special supper as a family with card exchange and a special VDay dessert. My husband and I normally go out for dinner on a day other than February 14. On the actual day, we just cook something special at home. Nothing special, we get the kids some fun stuff, and the hubby and I go out for supper. We make valentines for my sons friends and lots of chocolate!! We visit our family and exchange kisses and valentines. We do a family night for the actual day, kid picks dinner and we play a board game. then a few days later hubs and I go for dinner.